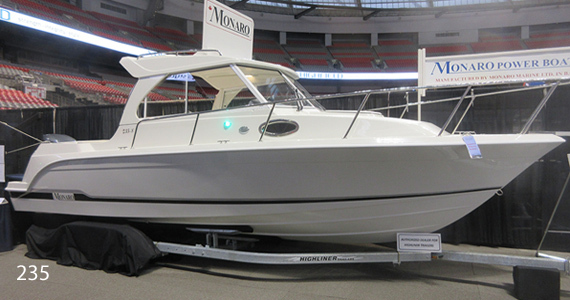 Monaro Marine Ltd. designs and builds its own unique brand of semi-custom 21' to 30' fibreglass power boats. 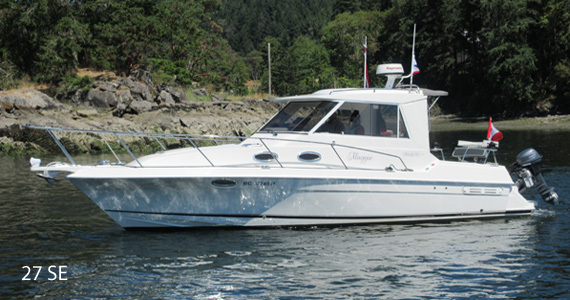 We also sell used Monaros, and do expert repairs and custom upgrades on all types of fibreglass boats. 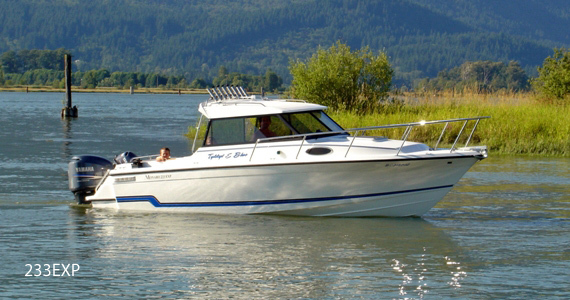 Our rugged all-weather boats have cruised the west coast and explored the oceans as far north as the 75 deg. north latitude (1000 miles from the North Pole). 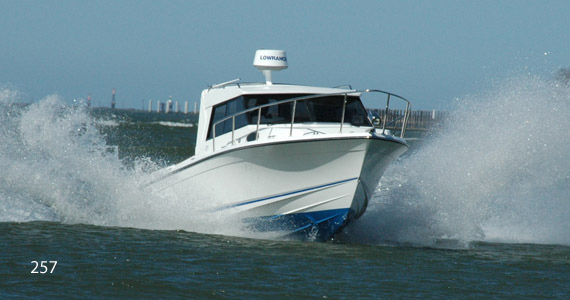 All of our models are trailerable including our largest model making it more versatile than many other boats the same length yet maintaining comfortable accommodations for extended trips. 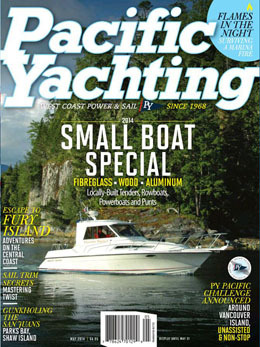 Monaro 27 on the cover of Pacific Yachting May 2014. 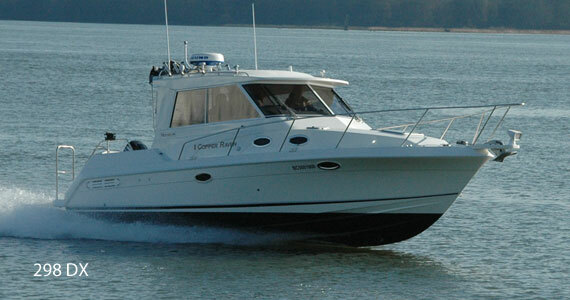 We are taking a Monaro 27 built in 1998 and turning it into a 298. Also, it will be repowered with a new Volvo D6-370 diesel engine. We are video documenting this project as it progresses. Click on the photo to go to the first video. 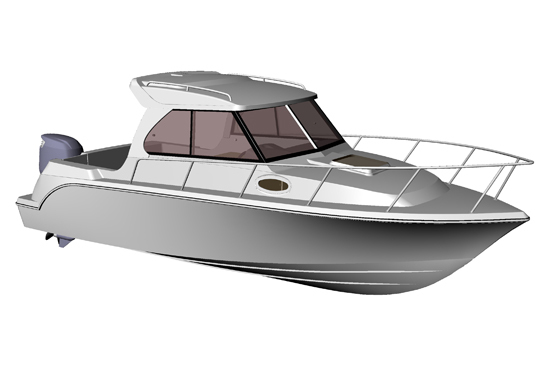 A Monaro sport fishing boat is in the design and tooling stage. It will be based on our existing 24' hull design which has a proven track record for efficiency and rough water performance. 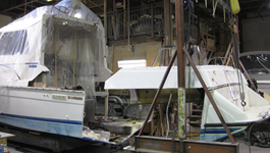 Construction is well underway and the completed boat will be on display at the 2019 Vancouver International Boat Show in February. Details of the boat are now available. 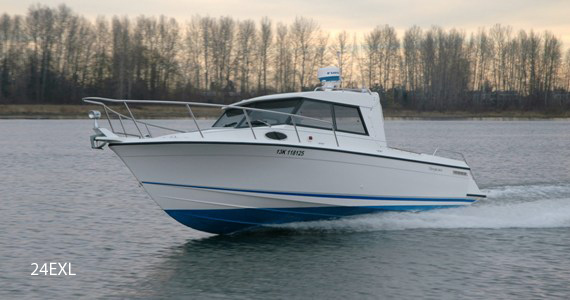 We are producing videos on the development of the boat from design to completed construction. Follow along with the process. The latest video is below. The 2018 Monaro newsletter is available for viewing now. 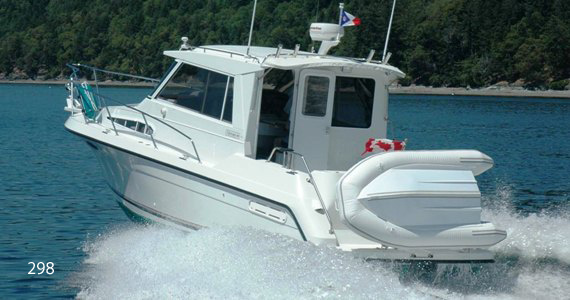 If you need parts or accessories for your boat browse through our online catalogue. View Volvo engine test videos on Boattest.com. We are authorized dealers for Highliner trailers.